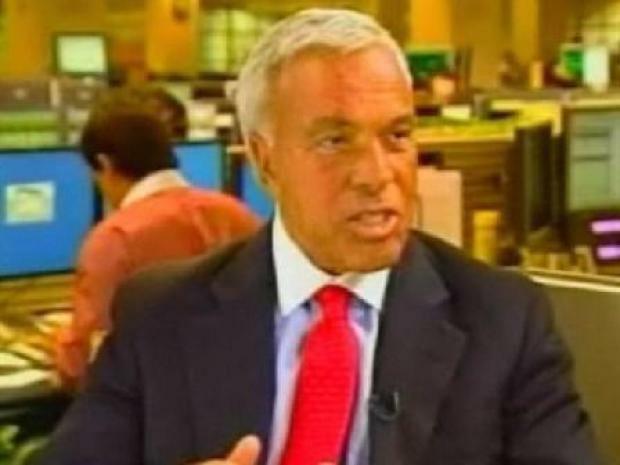 Ex-Countrywide CEO Angelo Mozilo has been charged with fraud. 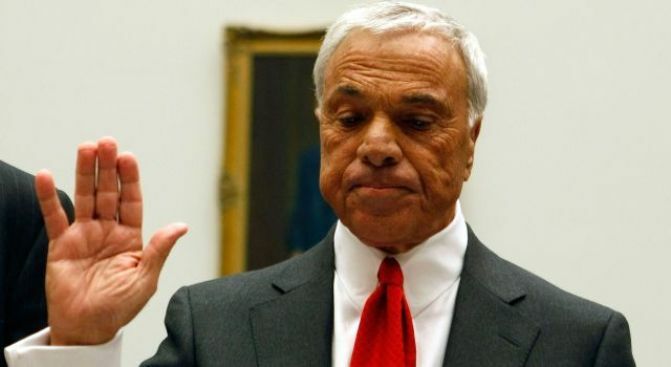 WASHINGTON — Federal regulators on Thursday charged Angelo Mozilo, the former chief executive of fallen mortgage lender Countrywide Financial Corp., with civil fraud and illegal insider trading in a prominent case arising from the financial meltdown. The Securities and Exchange Commission also accused two other former executives of Countrywide of civil fraud, saying they and Mozilo "deliberately" misled investors about the risks the company assumed in its aggressive drive for a share of the booming mortgage market. The SEC's civil lawsuit was filed in federal court in Los Angeles, naming Mozilo, Countrywide's former chief operating officer David Sambol, 49, and ex-chief financial officer Eric Sieracki, 52. A trail of e-mail messages sent by Mozilo in 2006, before the subprime mortgage market collapsed in 2007, underlined the SEC's allegations. "The bottom line is that we are flying blind on how these loans will perform in a stressed environment of higher unemployment, reduced values and slowing home sales," the Countrywide chief wrote on Sept. 26, 2006. Countrywide's co-founder is facing accusations that he lied to investors about the toxic build-up of risky loans. The note followed a meeting with Sambol to discuss the company's holdings of so-called pay-option ARM loans, which allowed borrowers to choose from multiple payment options, including paying less than the interest due. Option adjustable-rate mortgages were among the worst-performing loans for repayment during the downturn in the real estate market. Countrywide was a major player in the market for high-risk subprime mortgages, the disintegration of which touched off the financial crisis that has gripped the U.S. and global economies. Mozilo, 70, is the most high-profile individual to face formal charges from the federal government in the aftermath of the crisis. He has denied any wrongdoing and his attorney on Thursday called the SEC's allegations "baseless." "This is a tale of two companies," SEC Enforcement Director Rober Khuzami declared at a news conference at agency headquarters. "There was the one that investors saw from the outside, allegedly characterized by prudent business practices and tightly-controlled risk. But the real Countrywide, which could only be seen from the inside, was one buckling under the weight of deteriorating mortgages, lax underwriting and an increasingly suspect business model," he said. Mozilo, Sambol and Sieracki "painted this mirage," Khuzami said. In addition, Mozilo "was actively taking his own chips off the table" by selling his shares to reap nearly $140 million in illicit profits, he said. The SEC is seeking injunctions and unspecified civil fines against Mozilo, Sambol and Sieracki and wants them to be barred from serving as officers or directors of any public company. The agency also is seeking unspecified restitution of allegedly ill-gotten profits from Mozilo and Sambol. Mozilo's attorney David Siegel said the stock sales "complied with applicable laws and regulations, and were made under the terms of a series of written sales plans which were reviewed and approved by responsible professionals." "All of the SEC's allegations will be answered completely in court and disproved with the full facts and evidence," Siegel said in a statement. Attorneys for Sambol and Sieracki also said their clients will fight the charges. "Making groundless allegations and losing in court will not help the SEC restore its reputation," said Sambol's attorney Walter Brown. Sieracki's attorney Shirli Fabbri Weiss said her client bought Countrywide stock during the time when the SEC claims he was withholding information from investors, and "lost money just like all other investors in Countrywide stock." The SEC and federal prosecutors have undertaken wide-ranging investigations of companies across the financial services industry, touching on mortgage lenders, the Wall Street investment banks that bundled home mortgages into securities sold to investors, and other market players. "We are very closely looking at a number of cases," Khuzami said. The SEC's scrutiny of Mozilo's stock sales began in the fall of 2007 with an informal inquiry. The leveling of charges was a striking turn for Mozilo, the man who 40 years ago co-founded what grew into the nation's largest mortgage lender. He moved the company in 1969 from New York to the housing hotbed of suburban Los Angeles, guiding Countrywide through numerous boom-and-bust housing cycles. After the mortgage crisis hit, Calabasas, Calif.-based Countrywide was forced to cut thousands of jobs and saw its shares plummet. 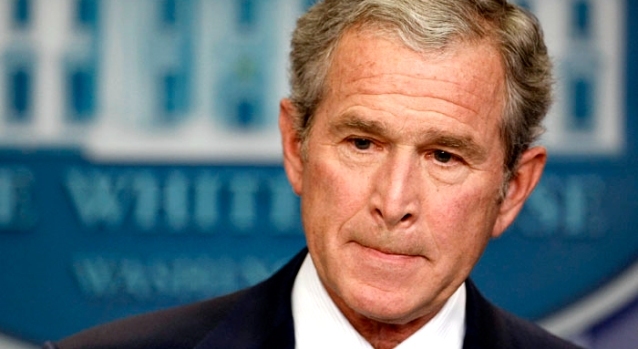 Its downward spiral ended in it being bought by titan Bank of America Corp. in July 2008 for about $2.5 billion. Countrywide itself is the target of multiple lawsuits related to the mortgage meltdown. "Under Angelo Mozilo, Countrywide became the poster child for unconscionable behavior by mortgage lenders," Sen. Charles Schumer, D-N.Y., said Thursday. "This is a company that turned the American dream into a nightmare for thousands of innocent borrowers, and misled their shareholders along the way." Khuzami declined to say whether the SEC had made a referral in the case to the Justice Department for possible criminal prosecution. But a person familiar with the matter said a criminal probe into Countrywide's lending practices continues in Los Angeles. The person requested anonymity because of the ongoing probe and said no charges were imminent. It was the first major case led by Khuzami, who joined the agency in March. SEC Chairman Mary Schapiro brought him in at a time when the agency was being assailed by lawmakers over its failure to detect the massive pyramid scheme run by fallen money manager Bernard Madoff despite red flags raised to its staff by outsiders over the course of a decade. Mozilo's influence stretched from the California real estate market through the corridors of power in Washington. The Democrats were roiled a year ago by revelations that Sens. Christopher Dodd, D-Conn., the chairman of the Senate Banking Committee, and Kent Conrad, D-N.D., head of the Budget Committee, got mortgages through a VIP program dispensed by Countrywide for so-called "friends of Angelo." Dodd insisted that the controversy over the two loans he received did not compromise his ability to lead Congress' efforts to address the effects of the subprime mortgage meltdown. He said he thought the VIP program referred to upgraded customer service and not reduced rates. Mozilo sold about $130 million in Countrywide stock in the first half of 2007 through a prearranged 10b5-1 trading plan. These plans, popular among corporate executives, allow a company insider to set up a program in advance for such transactions and proceed with them even if he or she comes into possession of significant nonpublic information. Mozilo had sold company shares through prior arrangements since 2004; the pace of his sales began to quicken in October 2006 when he put a new plan into effect. Mozilo has said that he did so to reduce his stake in Countrywide and diversify his personal investments in an orderly fashion before his retirement, which was slated for December.